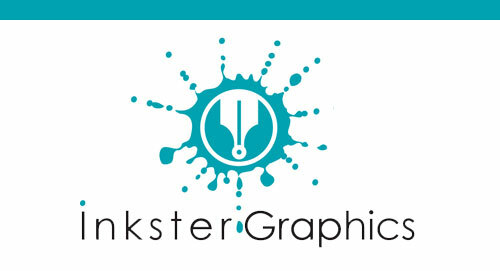 At Inkster Graphics, we specialize in creating custom wedding invitations that are specific to your wedding theme. We can create a invitation package that’s based upon the way that you met, or based upon that certain something that makes your unity a truly unique one. Along with that, we can also furnish you with standard design styles that feature the colors that tie in with your wedding theme. 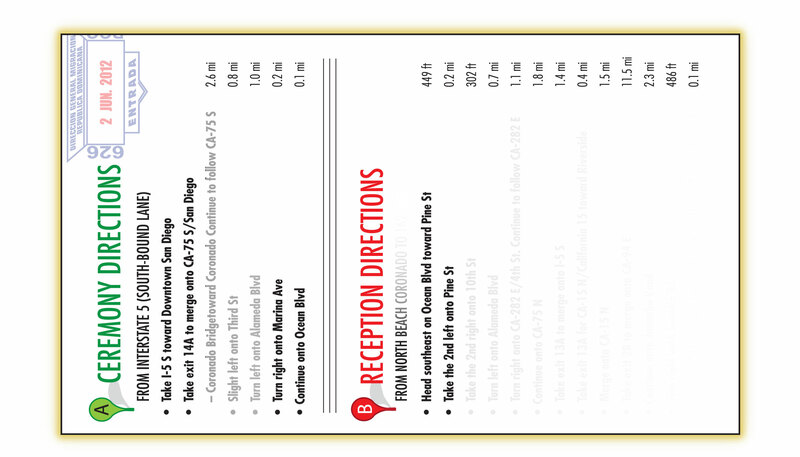 For information on our pricing, download our rate card [ here ]. We know that you have a full list of items to address during this period, so we will ensure to keep things moving on schedule i regard to the design and production of your announcements. 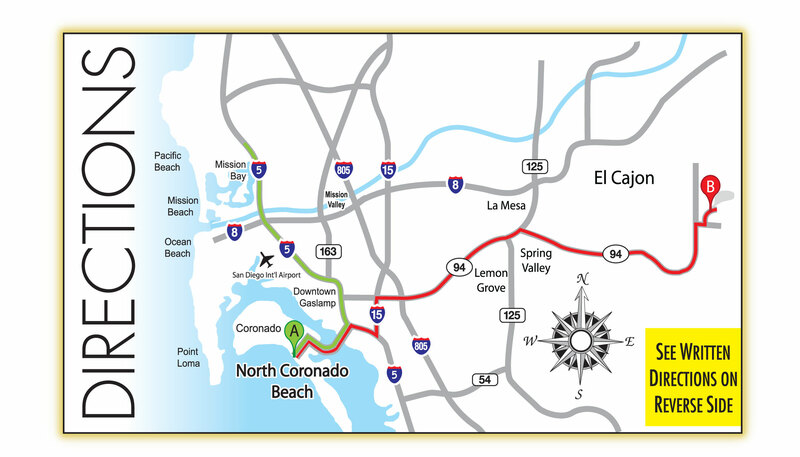 We’ll walk that line for you through making ourselves available for face to face meetings in Southern California, and/or via distinctively quick email replies. We’ll also help you to fashion design ideas that will translate into the perfect expression of Your Important Day! In the samples below, you’ll find pieces that were done by our company for three different weddings. 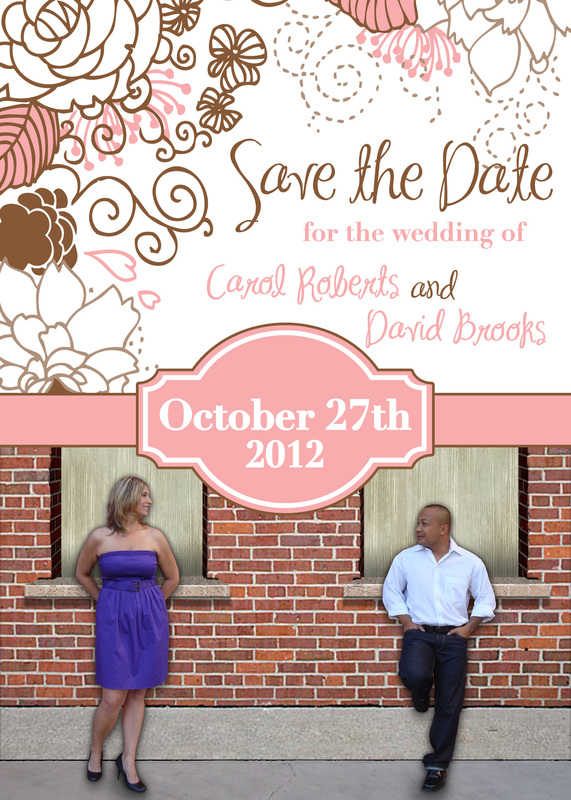 The names have all been changed to “David & Carol” as a courtesy to each of the couples depicted. Should you wish to contact them to find out what it was like to work with us, just let us know. 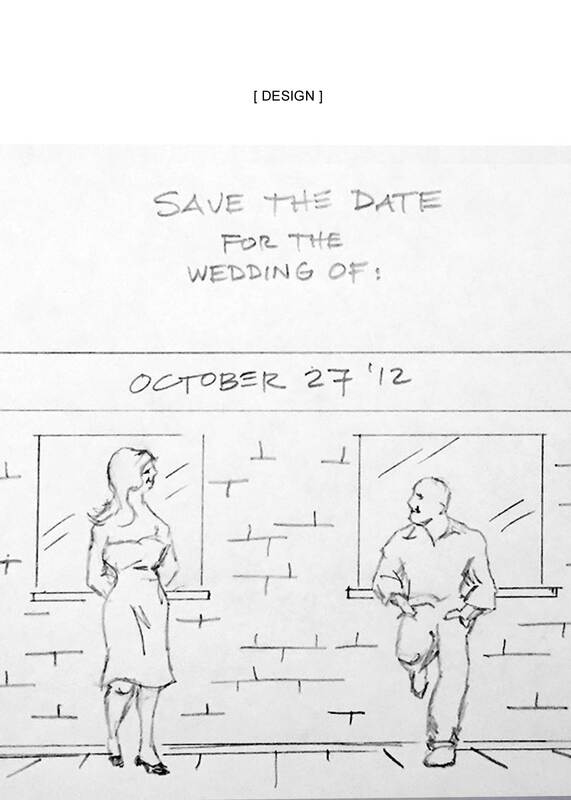 This first couple wanted to be set up with a slight separation, looking at each other and with their backs to a wall on a 4″ x 6″ ‘Save the Date’ card. We shot their photo after drafting up the rough drawing below. (1) Mock-up of client’s vision. (2) Photo taken based on vision. (3) Figures cut-out for new scene. (4) Figures added to new scene. 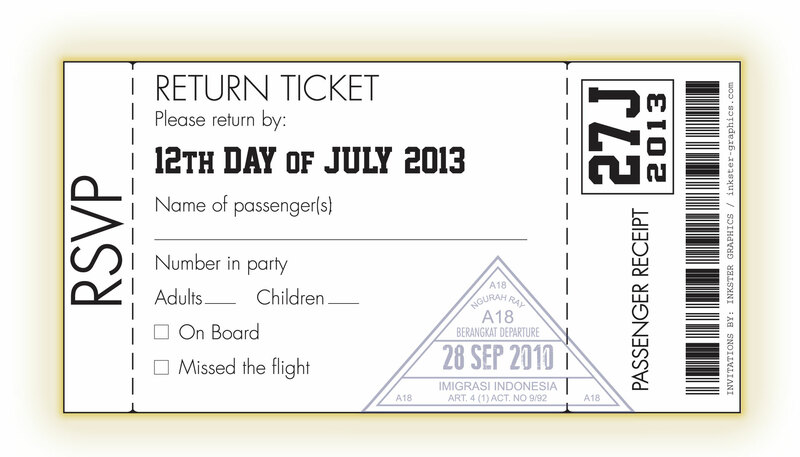 (5) Final, press-ready version of the card. 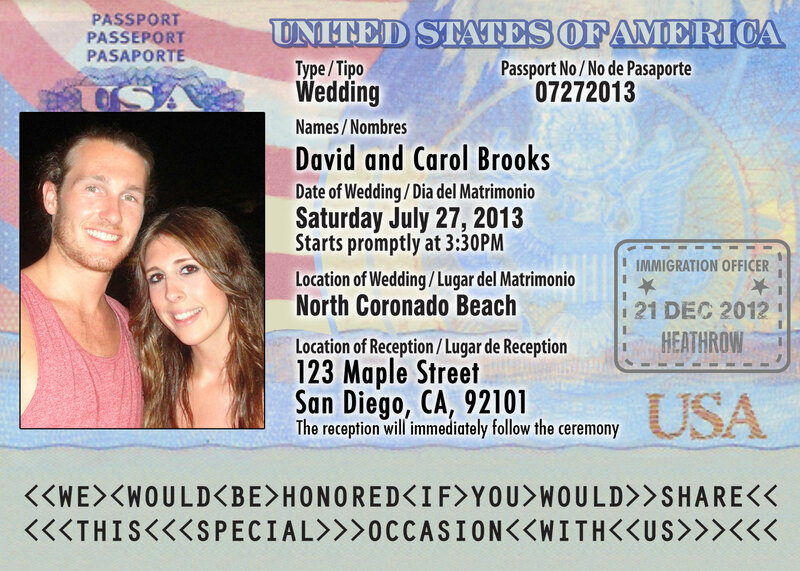 This couple met when they were both on vacation and thought that it would be a fun idea to have their announcement fashioned into a passport. And along those same lines, ‘travel-related’ visuals were adopted for their supporting promotional material. “CARNIVALS!” This couple met at one. They’ve always been delighted by them and wanted to their special day to reflect something that they both enjoy. So the design layouts and the font selection was paired with their wedding day colors to deliver the announcements that are presented below! For information on how we can tailor a customized invitation package for your upcoming wedding, feel free to [ contact us ] today!